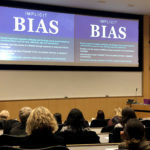 Our department drives the strategy behind the clinical professional training at Northwestern University Feinberg School of Medicine and its affiliated institutions. We ensure our students and trainees master clinical skills, succeed academically and are prepared for working and leading in 21st-century healthcare. Find out more about our philosophy by viewing some of our programs' pages. 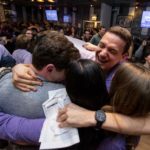 Relive the exciting moment when our fourth-year medical students learned where they will spend the next three to seven years as residents. Sixty-five percent of our graduates matched into top 25 programs. 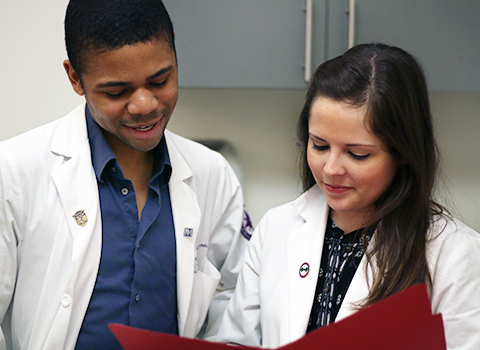 Feinberg’s Education-Centered Medical Home (ECMH) program is featured in a Northwestern Medicine Magazine article. ECMH is "such a powerful intervention for all involved — students, preceptors, patients and clinics — that we want to expand it to the entire school,” says Diane B. Wayne, ’91 MD, vice dean for Education and the Dr. John Sherman Appleman Professor of Medical Education. Feinberg Wellness Committee members kicked off a recent social media campaign to promote health and redefine how we think about wellness here at Feinberg. 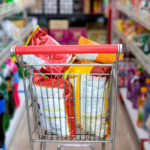 Learn more about the unique ways our students take time for themselves and prioritize wellness. 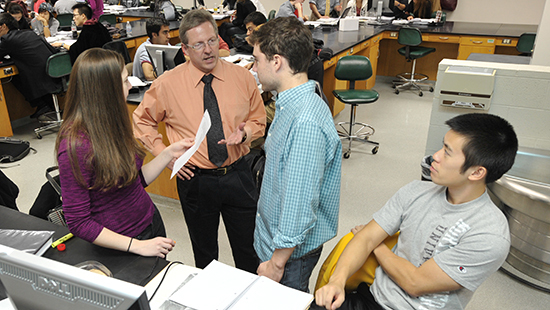 Faculty mentoring and role modeling is a critical part of medical education. 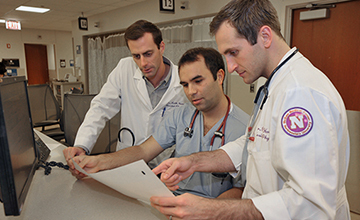 During the clerkship years, Feinberg students are asked to name faculty members that they believe have demonstrated exemplary professionalism and should be recognized. 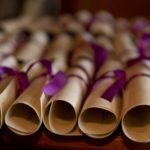 During the 2017-18 academic year, 165 faculty members received at least one nomination and ten received five or more. See the full list of teaching opportunities to learn more about how to get involved. On May 21, members of the class of 2018, faculty, friends and family members gathered at Navy Pier to celebrate Feinberg’s 159th convocation. Watch our video and view photos from this commemorative day. 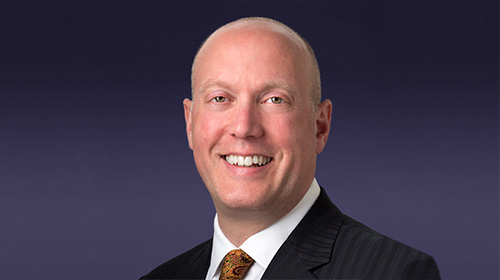 Congratulations to Josh Goldstein, MD, Associate Dean for Graduate Medical Education, who has been appointed to the Group on Resident Affairs Steering Committee of the Association of American Medical Colleges (AAMC). The committee promotes exemplary leadership for high-quality graduate medical education and is the authoritative source on graduate medical education principles and practices in the medical education continuum within the AAMC and nationally. 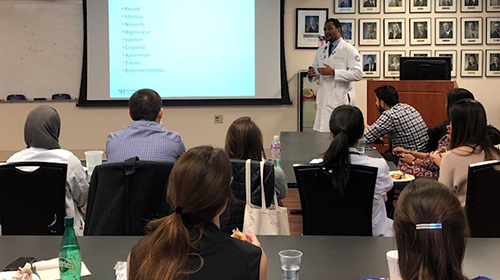 Feinberg School of Medicine alum and incoming Internal Medicine chief resident Quentin Youmans, '15 MD, delivers a clinicopathologic conference on a complex patient with encephalitis. Part of the curriculum for Feinberg students includes a teaching selective. Learn more about how we’re preparing students to practice medicine and what defines our curriculum. Feinberg students and faculty open up about LGBTQ acceptance. Julie Barton, ’88 MD, ’92 GME, clinical assistant professor of Obstetrics & Gynecology shares her experiences as a medical student, resident and physician at Northwestern. “I came here in the 80s as a student. I think back then it was very, very different. We felt as if we had to be very careful sometimes—that it might affect our careers. But over time that’s really changed. 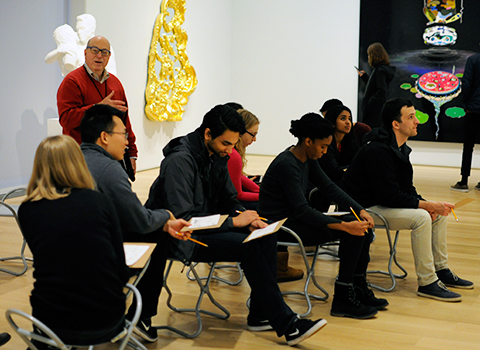 Feinberg offers unique educational experiences. 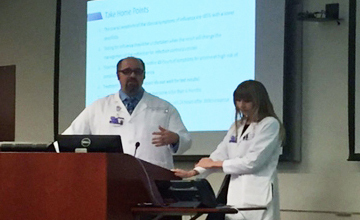 Learn how Feinberg is using Medical Improv in the MD Curriculum to build clinician communication skills with patients and colleagues, and to enhance cognition and teamwork in medicine. 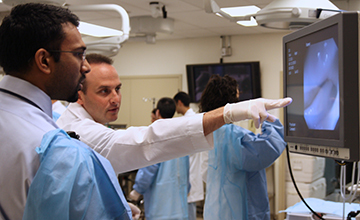 Take a photo tour of Northwestern Simulation, our state-of-the-art training facility for healthcare professionals at every level. Learn more about how simulation training improves the cognitive, technical and professional skills of healthcare providers. We offer special programming for our faculty: lectures, conferences and educational programs designed to keep their knowledge, skills and professional performance up-to-date. Feinberg CME has a Accreditation with Commendation from the ACCME. 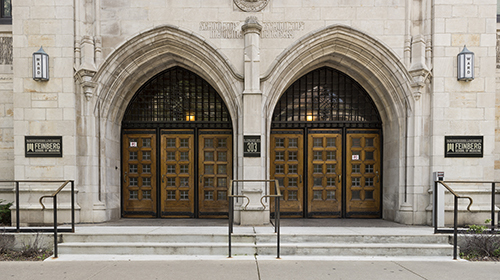 Feinberg is a member institution of McGaw Medical Center of Northwestern University's consortium. We contribute to McGaw's exceptional training experiences in a thriving academic environment and facilitate trainee research. Learn more about over 200 programs of specialization available through McGaw. Faculty educators are essential to the success of our programs. Find out more about how we work to support our leaders through the Feinberg Academy of Medical Educators. From online learning modules to frequent in-person lectures and workshops, we offer a wide variety of opportunities to help them build and share their skills.